Yes! That’s right you can now host your very own cooking class or party from the comfort of your own home! 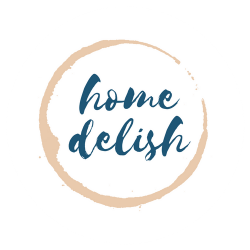 Give your guests a unique experience with a bespoke private cooking class delivered by me, the creator of Home Delish. My cooking classes and parties are designed to be completely informal (helped by the tipple I bring along), friendly, informative and of course … delish! Because I am a cook not a chef, my methods and knowledge are self taught by cooking for my family and friends – so you can count on me not to show you anything too fancy or complicated – I offer affordable, simple home style menus that anyone can master! Choose from a flexible menu that suits your guest’s tastes and learn how to cook it together while enjoying a glass of wine or four! My classes and parties are suitable for individuals or small groups of adults (how many depends on the size of your kitchen!) and do not require any cooking experience. So whether you are usually lost in the kitchen or enjoy cooking – I make everyone feel welcome and the session is always tailored to each individual’s level to ensure everyone can get involved. Ideal for individuals, couples, families, get togethers, hen dos, stag dos, birthdays, celebrations or just because you fancy it! My classes are sure to provide you and your guests with a unique experience! Lets face it, everyone likes food, but we all like or need different foods! Menus can be tailored to suit dietary requirements such a vegetarian, gluten free or allergies. I leave you to enjoy your home cooked meal! Too find out more or to book a session please fill in the form below and I’ll be in touch!